Starting strong with “Sacred Games” and “Ghoul”, Netflix India promises to bring better projects to the table, with great casts and amazing directing. 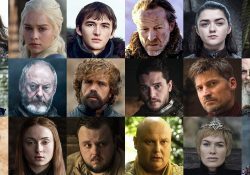 Here are the upcoming Indian Netflix series in 2018 and 2019. Based on Arvind Adiga’s novel of the same name, ‘Selection Day’ is the story of two brothers who are forced by their father to play cricket and join the National team. Manju does not share his father’s love for cricket and is a more scholarly type but seeing his father sacrifice everything for his sons’ future, albeit one he decides for them, is conflicting. Follow the journey of these two brothers when the show premieres on 28 December 2018. After a nail-biting cliffhanger at the end of the first season, “Sacred Games” has made us wait impatiently for the next season. Viewers lurk to every small news like a vampire crazy for blood, the news of show getting cancelled, put on hold, then resumed again and now this crossover between Narcos’ GodFather & Sacred Games’ God. The story of the rise of one of the city’s greatest crime lord Ganesh Gaitonde, with impending doom on the 25th day. “Sacred Games” has been full of twists in every single episode and the expectations are high for the second season. Watch the highly awaited second season of this series coming in 2019. ‘Baahubali: Before the Beginning’ will be a prequel to the blockbuster hit ‘Baahubali Series’. The plot is based on Anand Neelakantan’s 2017 novel The Rise of Sivagami and will be about how Sivagami rose to power in the Mahishmati Kingdom and became its Queen. 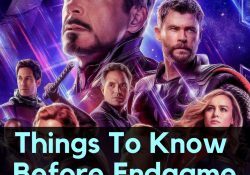 The expectations with this series are through the roof so that it is as extravagant as its predecessors. This 9-episode series will be jointly produced by the producer of the Baahubali movies Arka Media and S. S. Rajamouli. 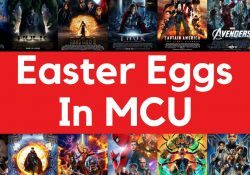 Giving more insight into the history of the characters from the original films, fans of the first movies will enjoy this show. 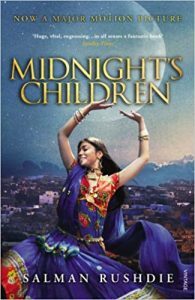 An adaptation of Salman Rushdie’s novel ‘Midnight’s Children is a drama series centred on the life of Saleem Sinai, who is born on the midnight of India’s Independence, 15 August 1947. The magnum opus of Salman Rushdie, this novel has a few unique concepts that make it worth a watch from the plot itself. Firstly, Saleem shares telepathic powers with 1000 other children who were also born on the midnight of India’s Independence. Secondly, the life of Saleem and those around him strongly reflects that of the recently independent India, thus personifying Independent India in many ways. It is interesting to note that a movie from the same novel has already been released in 2013 but wasn’t able to do well, now with Netflix coming into the picture, hopefully, things will change and this tv series will meet the legacy of its author. 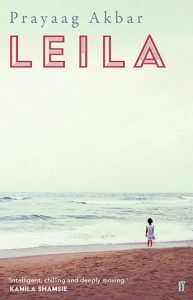 “Leila” is a feminist drama set in dystopian times. 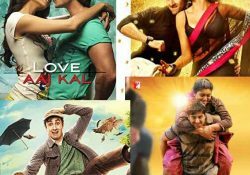 The movie features Shalini, a Hindu woman who falls in love with Riz, a Muslim man. To get married to Riz, she switches religion and faces strong indignation from her family. She still continues with her life but things take a tragic turn when she loses her daughter Leila at the age of 3 and his husband Riz dies. Being lonely and to try to find a reason to live, Shalini tries to find missing Leila. The series will be based on the novel of the same name by Prayaag Akbar. Huma Qureshi stars as the protagonist Shalini in this series adaptation of the novel of the same name. Typewriter will be a horror series about a group of kids interested in a haunted mansion in their neighbourhood. When a new family moves into the house, the wannabe ghost hunters must save them before it’s too late. 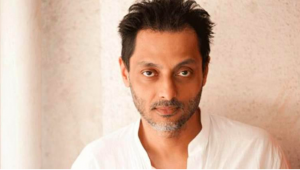 This series will be directed by veteran actor and director Sujoy Ghosh. A mystery thriller set in Goa, “Crocodile” is the story of Mira. When her best friend goes missing, it is up to her to discover the truth behind her disappearance. In her investigations, she manages to uncover long-buried secrets that were never hers to know. Enjoy this thrilling show similar to “Pretty Little Liars”. Another upcoming series is “Again”, featuring a female detective as the protagonist.